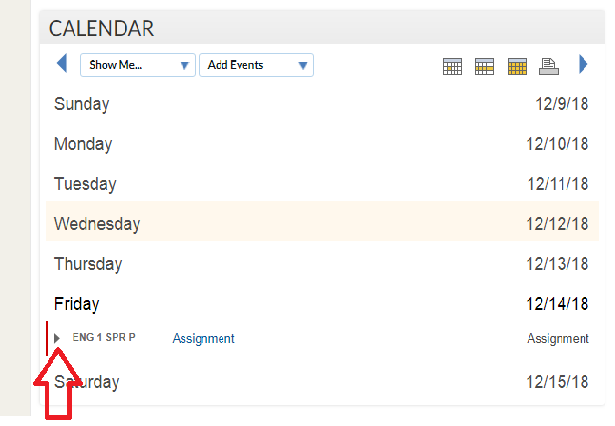 Students can view assignments after the teacher publishes the assignment to all students who are part of the class. 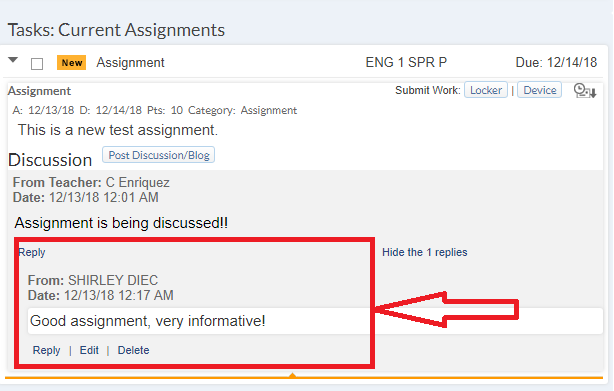 Here is an article giving a brief overview on Assignments. 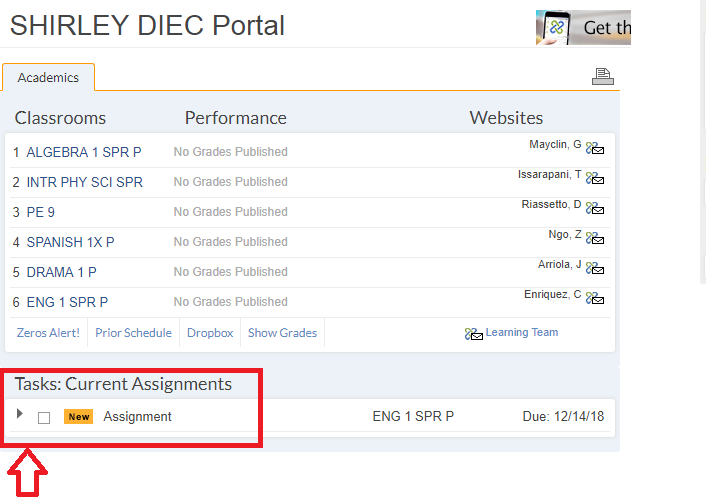 All assignments on School Loop include a discussion option for teachers and students to whom they have been assigned. Discussions are an important part of School Loop. Discussions create a safe and secure forum in which students and teachers can communicate on assignments as needed. 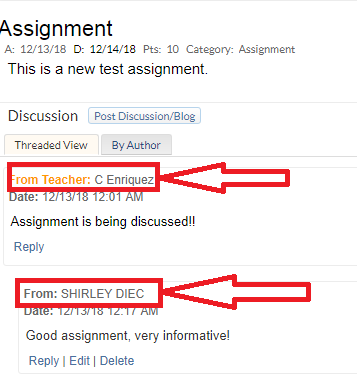 Click the arrow to the left of the assignment name in your Task List or calendar, or click on the assignment name to access details including the discussion. Click Discuss to begin a discussion or Reply to This Post or Reply to Main Post to participate in a discussion that is already underway. 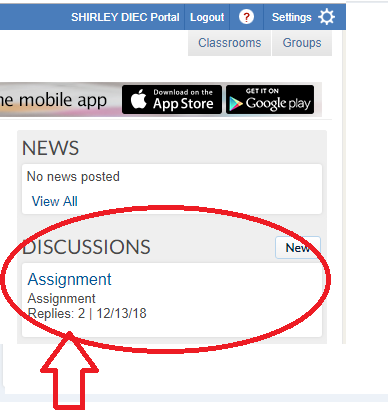 Once you have participated in an assignment discussion, it appears in your My Discussions box on the top right-hand side of your Portal Page. You can then easily access and monitor the discussion from this box in the future. Remember: All discussion posts are made in your REAL NAME and you are responsible for everything you post. It will be viewable by all students and your teacher. Please bring any inappropriate posts to your teacher's attention immediately.